Movers provide a wide range of services for a wide range of fees. 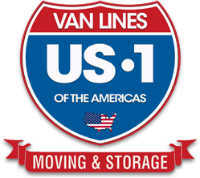 The most important step in making your intrastate move a success is choosing the right mover. The best way to find a mover is to ask your friends, coworkers, or business associates for a referral. When selecting a mover, we do encourage you to visit our directory of Professional Movers. The Florida Department of Agriculture and Consumer Services, or your local county’s Department of Consumer Affairs, are also valuable resources in selecting a mover. The members of PMAF have agreed to abide by the PMAF Code of Ethics and state, local, and federal regulations. It is important to plan well in advance. You should begin the process of selecting a mover four to six weeks prior to your move. Once you have compiled a list of movers, contact them and let them know when and where you will be moving. Ask them about the types of services they offer and inquire about their insurance coverage and additional insurance services. Arrange for them to visit your home and give you a written estimate. Ask them to explain the estimate in detail and give you a copy. If a moving company will not give you a written estimate, eliminate it from your list of potential movers. By Florida law, moving companies are required to supply you with a written contract before the move. Once you have a few estimates, carefully compare them to see which mover best meets your needs and budget. Is the company registered with the Division of Consumer Services? How does the company handle claims for damaged/delayed goods? Does the company have an on-time delivery record? Does the company provide storage and packing services if needed? Although the Internet is a valuable resource for gaining general knowledge about moving costs, it should never be used as a replacement for an onsite estimate. Avoid doing business with Internet-only or telephone-only moving companies. Many of these businesses are not movers at all, but rather broker your move to some other mover that may not follow generally accepted practices. You likely will have no control over the choice of mover in these situations. Remember, you can research your selection by contacting PMAF, the Florida Division of Consumer Services, or your local consumer protection agency.